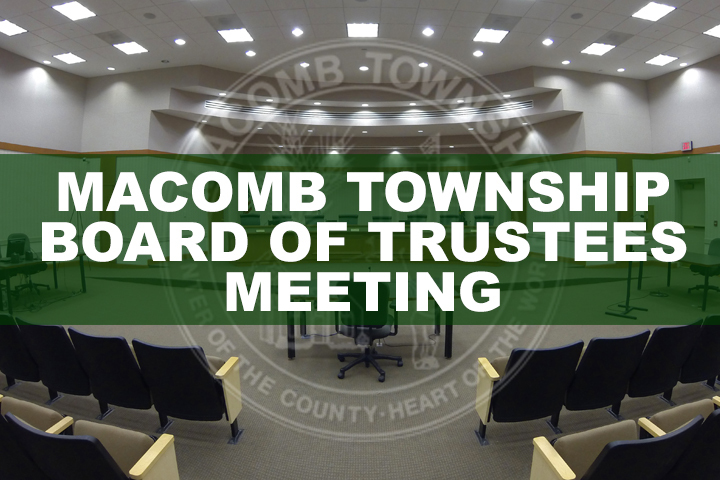 Scheduled meeting of the Macomb Township Board of Trustees. Can I pull a permit for work done on my own property? When are Winter taxes due? What is the Township's fiscal year? When are Summer taxes due? Do I need to register my dog?